Yeah, but this promotion only applies to the Japanese eShop so what about THE REST OF THE WORLD?! We have the eShop too! Is Nintendo still not clear on how the internet works? Does it still not realize that when it makes an announcement, the rest of the world hears about it immediately? What possible benefit can there be to doing it this way that outweighs the confusion and frustration you create in your customers by making them wonder (temporarily though it may be) if they’ve been forgotten or ignored? 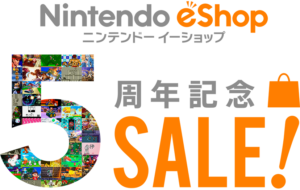 I’m sure the rest of the world will get its own eShop promotions eventually but why not launch them all at the same time? Or at least announce them at the same time so that there’s no doubt? As I write this, I notice that the European (and Australian) version of this promotion has been announced. Only 45 games are discounted but the promotion runs twice as long. It starts on Thursday and runs until the 23rd. Okay, great. Now what about North America? Look, there’s no doubt in my mind that North America will get its own promotion too but again, why has it not been announced yet? The way I see it, holding the announcement accomplishes nothing beneficial to Nintendo and serves only to alienate and frustrate a portion of its customer base. I don’t believe anyone who otherwise would have taken advantage of this promotion will refuse to do so as a form of protest so Nintendo won’t lose money in this case but still, unnecessarily aggravating a portion of your customers doesn’t strike me as a particularly savvy business move. But, my degree is in engineering not marketing, business or economics so what do I know? If anyone knows or has any theories why Nintendo is handling its promotion in this manner, please let me know in the comments below! Nintendo’s on the verge of launching a new console. It’s probably the worst possible time for them to make consumers feel like they’re being ignored and that the company doesn’t care about them. People will start to wonder if this is how they’ll be treated with the new console, and possibly reconsider whether or not to buy one.